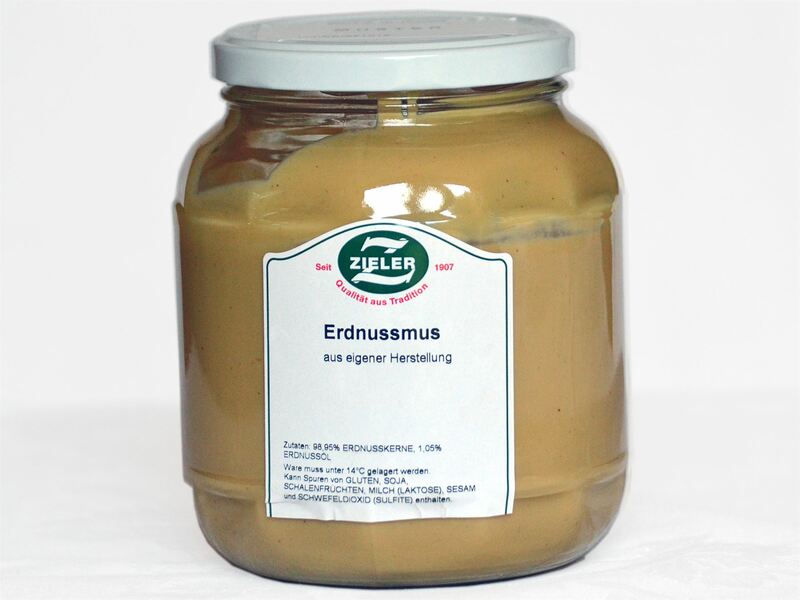 ZIELER & CO. have a long tradition as producer of puréed nuts in Germany. Our peanut butter is an ideal sandwich spread. Puréed nuts are very rich in minerals and energy, with a high content of mono- and polysaturated fatty acids. The peanut butter by ZIELER & CO are an ideal sandwich spread, you can use them to refine Asian dishes or spicy sauces. It is very rich in magnesium and protein. The peanut butter by ZIELER & CO is made of roasted peanuts without addition of stabilisers, sugar, salt, aroma or emulsifiers (lecithin).